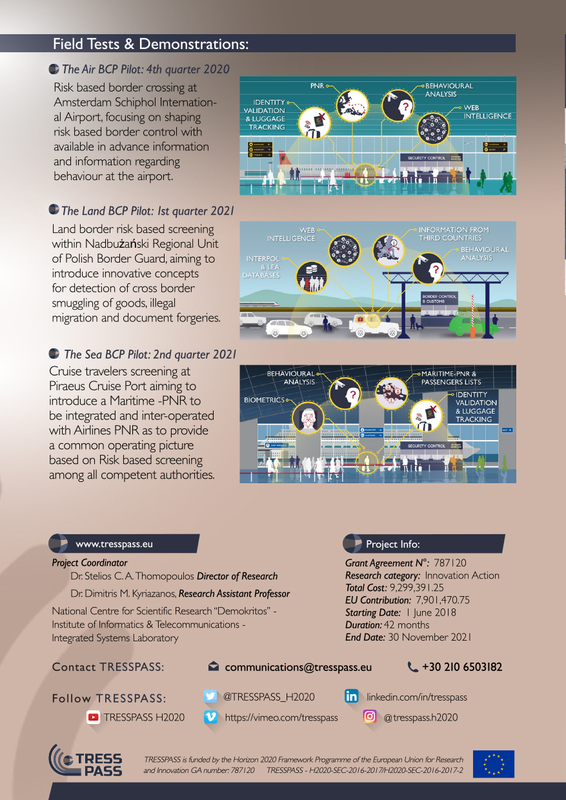 The following are downloadable files of the TRESSPASS projects dissemination materials. 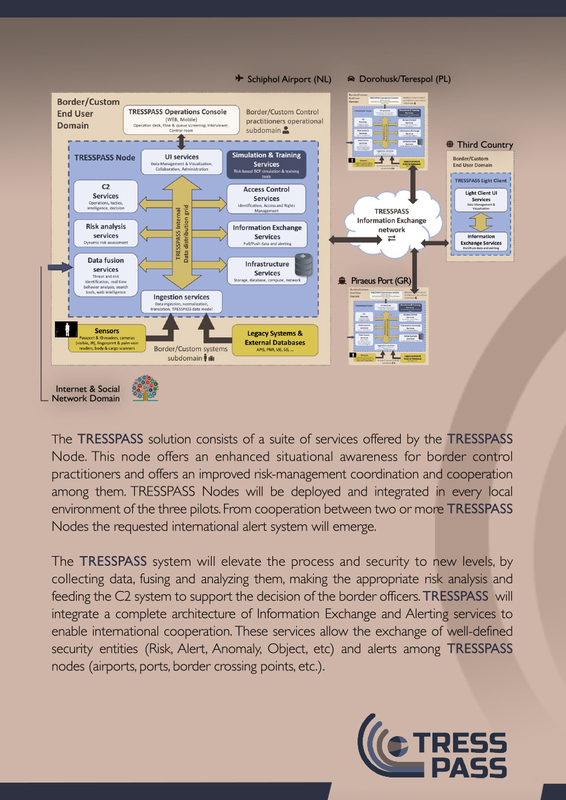 The project flyer aims to reflect the innovative TRESSPASS BCP concept through an integrated system methodology and architecture, establishing it as a key component in the TRESSPASS Communication & Dissemination strategy since it ensures that the project is properly publicized and its results are visible. 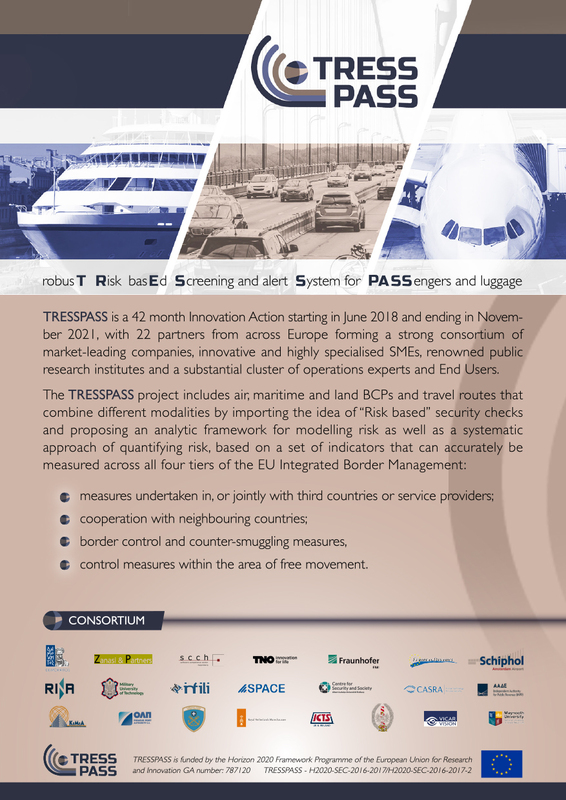 The TRESSPASS flyer provides an introduction to the project, its Concept and Methodology, System Architecture, Field Test Demonstrations, Project and Contact Information. 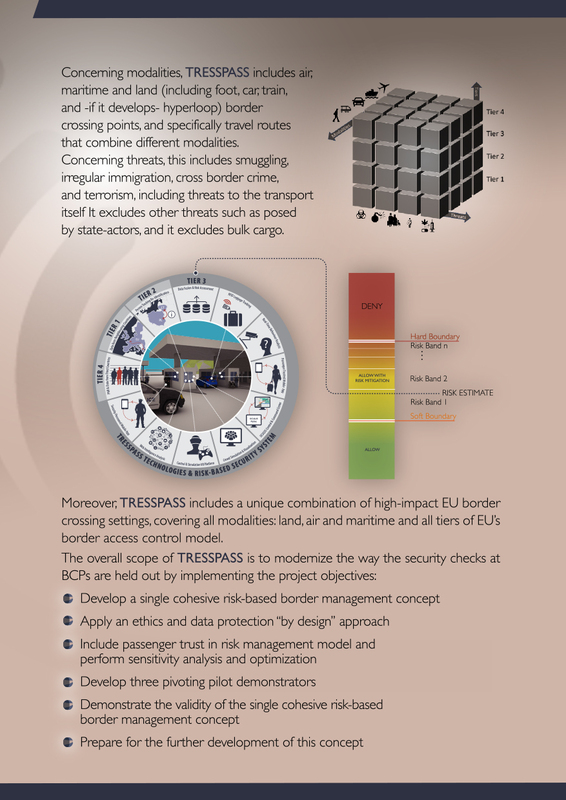 You can download the brochure here or you can view individual pages bellow.